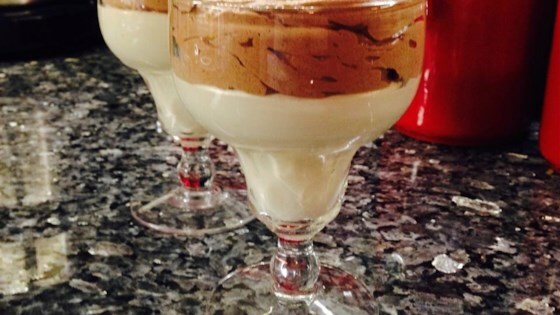 "Chocolate mousse that tastes like something from a restaurant, with the ease of instant pudding!" Prepare the pudding in a large bowl using 1 1/2 cups milk instead of the suggested 2 cups. Fold in the whipped topping until blended. Refrigerate until chilled and serve. I used real whipped cream instead of Cool Whip and it was a huge HIT! Tastes OK for kids, but instant pudding and cool whip isn't a recipe. This isn't a mousse.